So this is a guide for those who maybe interested in the "coolest" DoT type out there. Scroll down a little and you'll notice Evil_Baka's guide to a Ranged variant in the second post of the thread. Why not use Fiend on the Spellbreaker? The result is decent but not mind blowing, taking fiend actually reduces your Frostburn potential so go for it if you like but I won't recommend it. Why no Nightfall on the Spellbreaker? Well I stretched too thin in terms of skill points so decided to drop Nightfall. Is so much duration bonus required? Yes, currently your duration bonus allows you to simply spam your skills and walk away w/o looking back. The DoTs will vaporize everything with ease. Which is better b/w the Spellbreaker and the Mage Hunter? Well the Mage Hunter is obviously better in terms of ticks, the spellbreaker has Mirror of Ereoctes, CDR and Nullification. So both are good in their own ways. Are Silver Sentinel Shoulders BiS then why doesn't the Spellbreaker use it? Chilldread Mantle and Deathmark Shoulderguard are also good options but Silver Sentinel's 30% conversion takes the cigar. 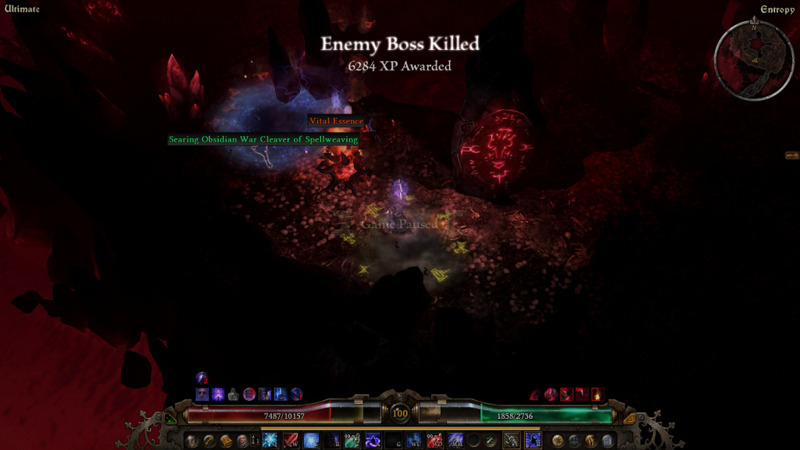 The Spellbreaker needs to cap its resists and other things so it can't really afford it. Why is Olexra's Chill being used and not the Mythical Version? The weapon is perfect because we get OA and DA bonuses. The Mythical version isn't usable here as it lacks the proc that is an extra source of Frostburn Damage for us. Why no Amarasta's Blade Burst? Why use Iceskorn Talons on Infiltrator but not Spellbreaker? Why not put more points in Rune of Hagarrad and Inquisitor Seal? The first one isn't needed, it'd increase kill speed but the build will turn into just another generic Rune Caster. Inquisitor Seal on the other hand feels counter intuitive since I rarely stand in a single spot. Even the summon limit isn't going to cover me on this. In most cases you spam your skills and move away and let the Duration bonus take care of the rest. Is Silver Sentinel Set usable here? Besides a few survivability issues I had with the set when compared to this setup I'd say Silver Sentinel would be pretty solid for this build. Well energy management can be a problem if you're blindly spamming buttons but even then you most likely won't run out of energy in a boss fight. The duration bonus helps counter energy problems but if that doesn't cut it then replace one of the ring components with Ectoplasm. Mostly timing your energy potions (use it when bar is 60-70% empty) covers it nicely. Are the Nightblade WPS usable here? Is the medal there purely for the circuit breaker? Yes, switch it with anything you find it appropriate but I prefer to sticking with Mark of Divinity. 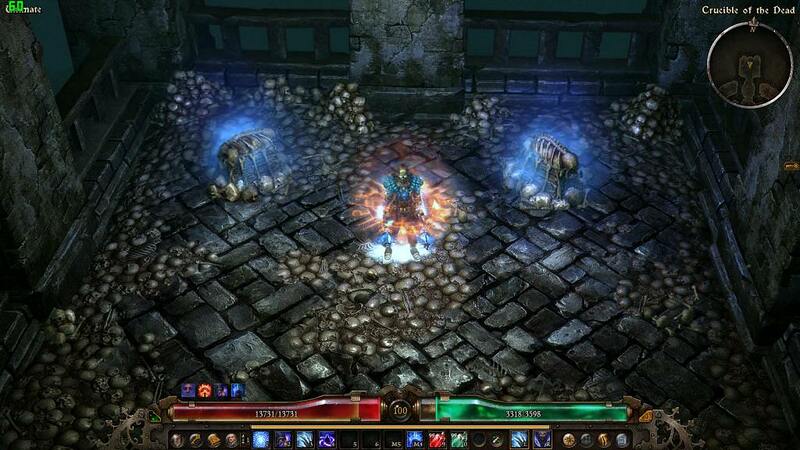 On DoT builds Mark of Divinity is much more preferable to me since it allows reckless play. Be sure to scroll down slowly to checkout Evil_Baka's Northern Wyrm version of a Frostburn Caster. 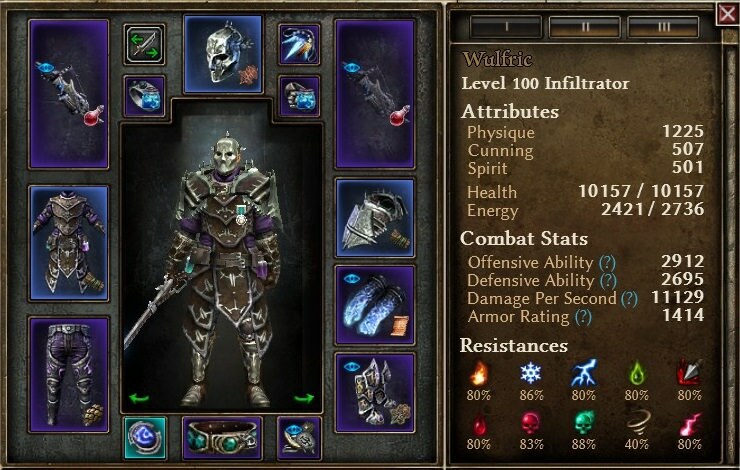 My second profile was a Dreeg's Hunter and till date that happens to be the profile I use whenever exploring new areas/content. Before I tried the infiltrator build nothing had ever come close to the amount of fun I had piloting that build, not even Burn, Devastation and Electrocution builds managed to do that. The visuals, the damage and playstyle, it's all just so fluid. The infiltrator is my second favorite build now and will likely be the primary farm character for the upcoming Forgotten Gods expansion. The spellbreaker is good as well, it's nearly as good as its Poison Cousin. I like the idea of Fire to Cold conversion it really opens up many builds including Cold Fire Strike. I hope you guys find this enjoyable as well. Last edited by Chthon; 06-23-2018 at 09:35 AM. For those of you are don't like Dual Wield builds, you might consider picking up a Crossbow and chilling your enemies from a distance instead. Stats shown are with passives + Pneumatic Burst/World of Renewal active. This is what my build looks like currently. It basically is the one I posted much earlier on the first page (but I'm missing some Mythicals, need to move some skill points around and I need to pick up the last point as well). I haven't yet tried Chthon's Setup yet, still need a few pieces of gear but will be able to do so soon. 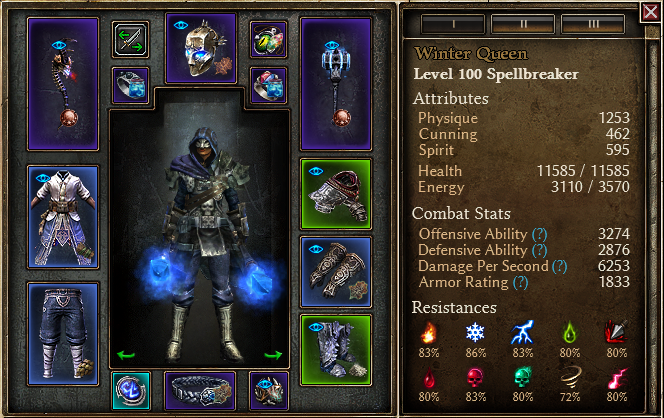 This build is completely fine with energy except for Ice Wyrm's Breath. This guy will slowly eat your energy as he's used. You're not chugging tonics every minute or anything like that but you still need it on your hotbar or on a close key bind somewhere. You could also use it somewhat sparingly (i.e. not for clearing) and you'd be fine. 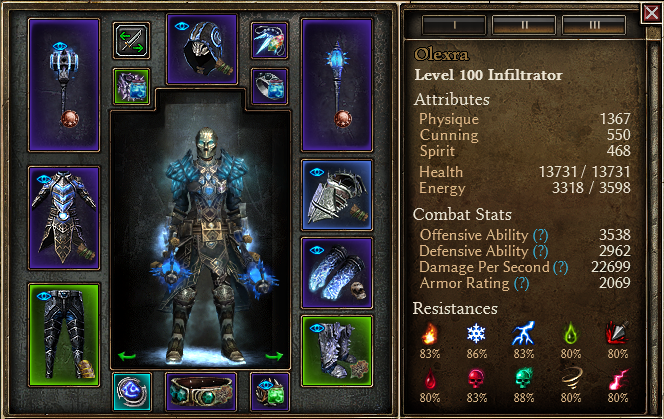 I could swap out Runeguard Greaves for Stormtitan Treads for the extra stun resistance and a bit of extra health. Noticed this was an option from Chthon's setup so credit for the idea goes to him. Thus far, I have been able to kill Rashalga, Sentinel and tackle Bastion of Chaos with it easily. Confident I could take Steps of Torment/Alkamos and some of the Nemeses too. Ancient Grove is trickier, I see more damage spikes/close calls here. Haven't played Valbury enough to comment on it. Last edited by Chthon; 04-26-2018 at 09:32 PM. Chthon, cool build. Sigh, one more interesting build in my wish list. Yeah this is cool. Had a build like this back in 1.0.3.2. was about 80% similar. Just full on invested to nightfall 22/12 and could easily complete 150 crucible before the patch. This is making me want to try that again. E: have you tried clairvoyant's hat? You don't need the 2pc mageslayer bonus anyway. And the +skills might help alot. Last edited by x1x1x1x2; 03-10-2018 at 12:59 PM. Great build, I also started levelling a Frostburn Infiltrator recently with this in mind. I usually try to go for non-Mi setups and improve on them later so I'm curious how this will do. Edit: Tweaked build to use a similar devotion setup to yours so thank you for the ideas. Last edited by Evil_Baka; 03-10-2018 at 12:54 PM. Was planning a similar concept as well, buffed Beacon is so good. It was a minor upgrade. Since I use it on 99% builds I spared myself from using it on this one. That proc also looks visually impressive. Thought about going Chillsurge + Frozen Core and for a non-MI setup found it harder to work with, though I could see Mage Hunter being stronger with the right gear. Otherwise, I'd prefer Nightblade over Arcanist for providing resist reduction and flat Frostburn without having to use an exclusive, effective DA increase from Veil of Shadow and more DA + Dodge/Deflect from Pneumatic Burst (Maiven's % damage absorption is also nice though) and the extra resists from Phantasmal Armour/Elemental Awakening make overcapping easier (Arcanist does have an edge with increasing Stun/CC resists though).